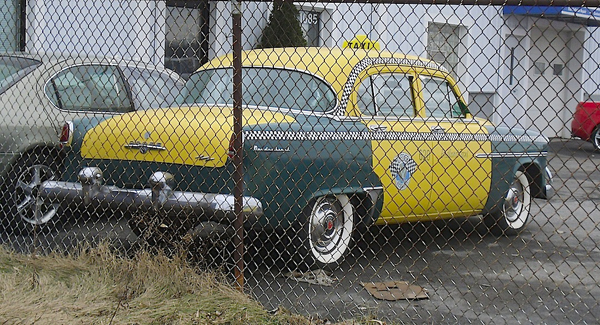 (Welcome to Day 4 of “Don’t Fence Me In” Week…) Don’t see many 1954 Dodge Meadowbrook taxis around these days. But we found this one a couple of summers back behind this Kenmore fence. Some research showed the green and yellow cab was for sale on the internet, as we found both eBay and craigslist listings. Just last month we ran across this same car in another Kenmore lot, now sporting a red and yellow paint scheme (below). Jim Corbran, RRofWNY The post RealRides of WNY appeared first on Buffalo Cars.